We are thrilled to offer a fantastic 50% discount from our three day/two night Essential Tuscany break at the 4* Hotel Brunelleschi. Travel any time in August, and the package price is just £294 per person instead of £588. 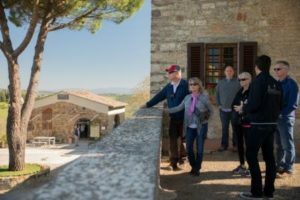 This price is based on accommodation in a twin or double Classic Executive room and includes 2 nights’ accommodation with breakfast and a full day guided and transported Super Tuscan wine tour with lunch. See here for detailed information. For bookings, please contact us on +44 (0) 1920 46 86 66 or at info@grapeescapes.net.